From BearingPoint to Mark Cuban, Kleinheinz Capital Partners, and CyrusOne here are some of the deals involving companies and investors with North Texas ties. Frisco-based Dairy.com, a global provider of software-as-service solutions for dairy supply chains, announced Thursday that it is buying Richardson-based Data Specialists Inc.
Data Specialists is a software solutions developer and provider to the dairy and food industries that was founded in 1980 by Sherrie and Richard Mertes. No terms of the deal were released. More than 180 dairy and food plants in U.S. use DSI tools. According to the release, the combined companies will have more than 100 employees in four main locations devoted to providing customers with cutting edge software, powerful intelligence, and robust service offerings. SI President Ryan Mertes will become president of the DSI Division of Dairy.com and chief solutions officer of Dairy.com. The DSI division will maintain operations from its base in Elkhorn, Wisconsin. Clients include more than 75 percent of the Dairy Foods 100 in the United States, as well as several international accounts. Dairy.com was founded in 2000, and in 2013, it bought the Blimling Companies, adding locations in Madison, Wisconsin and Chicago, Illinois. Plano-based heath-care provider LifeCare Health Partners raised $40 million debt financing led by White Oak Healthcare Finance, Crunchbase reported. Founded in 1992, LifeCare Health Partners encompasses the LifeCare Family of Hospitals as well as a variety of post-acute services including transitional care, inpatient and outpatient behavioral health treatment, and home-based care, according to the company’s website. It has 15 freestanding and “hospital-in-hospital” facilities across the nation. San Francisco, California and New York City-based White Oak Healthcare Finance is a lender in all subsectors of the health-care industry including health-care services, pharma and life sciences, medical devices, health-care tecnhology, health-care real estate, hospitals, and skilled nursing facilities. It is an affiliate of White Oak Global Advisors, a global alternative asset manager that specializes in originating and offering financial solutions that facilitate the refinancing, growth, and recapilizaiton of medium and small companies. Dallas-based GDS Link, which helps businesses manage credit risk, has received an investment from San Francisco-based private equity firm Serent Capital. 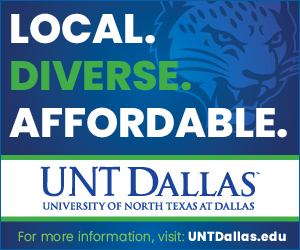 While terms of the deal were not disclosed, the Dallas Business Journal reported that it was a minority investment. It’s Serent’s 12th investment in a financial technology company. GDS offers clients consulting, software, and analytics and can assist in such areas a credit scoring and collections. 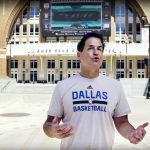 Dallas billionaire investor and Dallas Mavericks owner Mark Cuban is one of five investors in a $7.1 million funding round for Gecko Robotics. The Pittsburgh, Pennsylvania-based company develops and operates robot that perform infrastructure inspections by climbing into dangerous, confince places, according to Crunchbase. Currently Gecko is concentrating on power plant inspections for biomass, natural gas, and clean coal, Crunchbase said. Dallas-based independent management and technology consultancy BearingPoint has made a strategic investment in Insignary, a Seoul, South Korea-based provider of binary-level, open source software, security and compliance. The amount of the investment—the first for BearingPoint in an Asian startup—was not released. In two previous investment rounds, Insignary raised $4 million, according to Crunchbase. According to a release, the funding will enable Insignary to meet growing demand in the Europe, the United States, and in Asia from businesses seeking to improve their open-source software risk management. Insignary was incorporated in 2016 in South Korea, and is backed by venture capital, according to Crunchbase. Fort Worth-based hedge fund partnership manager Kleinheinz Capital Parnters is one of four investors in a $3.1 million venture funding round for 410 Medical. The Durham, North Carolina-based company has developed a simple, intuitive solution permitting a single health-care provider to rapidly deliver fluid to critically ill patients. Other investors in the round were WakeMed Health & Hospitals, Venture Capital Multiplier Fund, and AIM Group, which led the round. Dallas-based global data center REIT CyrusOne inc. said this week that it closed on a previously announced $442 million acquisition of Zenium Data Centers, a leading hyperscale data center provider with properties in Frankfurt and London. “We are excitied to take this important step in establishing a European footprint at a time when our customers are expanding globally and demand across the continent is accelerating, particularly in larger deployments,” CyrusOne President and CEO Gary Wojtaszek said in a release. He said that CyrusOne believes there is a great opportunity as the Eurpoean market rapidly evolves. “With this acquisition, as well as additional development sites we have the process in key markets across Europe, we will be very well positioned to help our customers as their business requirements grow, while creating significant value for our shareholders,” Wojtaszek said. 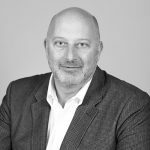 CyrusOne said that the Zenium portfolio includes four operating properties in London and Frankfurt with almost 20 MW of critical load capacity available for lease-up. There also are additional development sites in London and Frankfurt with the potential to add an incremental 31 MW of critical load capacity upon full build-out. Priority Technology Holdings, Inc. announced last week the acquisition and capitalization of LandlordStation and RadPad. Combined, LandlordStation and RadPad make up a privately held subsidiary of Priority Technology Holdings (PRTH), called Priority Real Estate Technology (PRET). Currently, PRET operates in two segments—consumer and independent landlords—in the multifamily real estate market. Copley Broer started LandlordStation in 2010 and now serves as the president of PRET. He told Dallas Innovates that he wanted to partner with a company like PRTH because it already had the infrastructure and capital needed to drastically expand. PRET is based in Dallas, and Broer told Dallas Innovates that the city will always be the “mothership.” Even as PRET starts to grow its portfolio to other cities, everything will leverage out of the Dallas office.